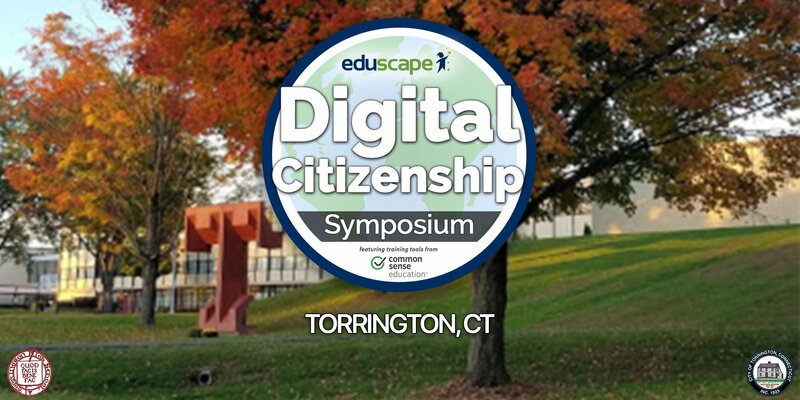 Eduscape, in partnership with Common Sense Media, will be holding the Connecticut Digital Citizenship Symposium on October 26th at Torrington High School in Torrington, CT. Superintendents, Associate Superintendents, Director of Curriculum, Library Media Specialists, Principals, Teachers, Guidance Teams, PTA & BOE members and Parents. Educators who are working toward becoming a Common Sense Educator will receive credit for two LEARN activities. Participants will also discover how to build a culture of Digital Citizenship across your learning community. Explore the essential elements and best practices to be proactive in safeguarding your students’ digital lives. 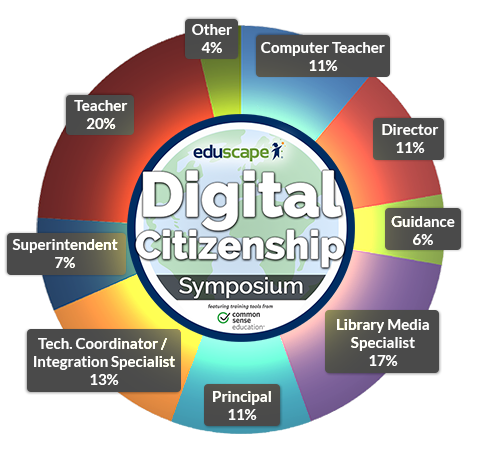 Who Attends Digital Citizenship Symposiums? Cancellation Policy: All registrations are final and non-refundable. Registration is, however, transferable. If you cannot participate in the session you have registered for you may either, find a colleague to attend in your place or transfer to another session. All transfers must be requested BEFORE your registered session begins.